*Utilizes special 90 degree Source bracket. 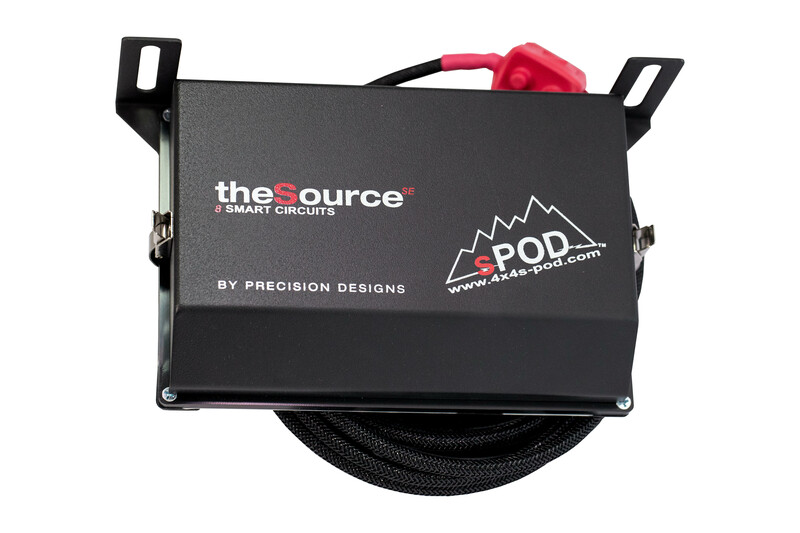 Eight circuits rated at 30 AMPs at 12.5vdc per circuit that are End-User friendly terminal block for attaching accessories. 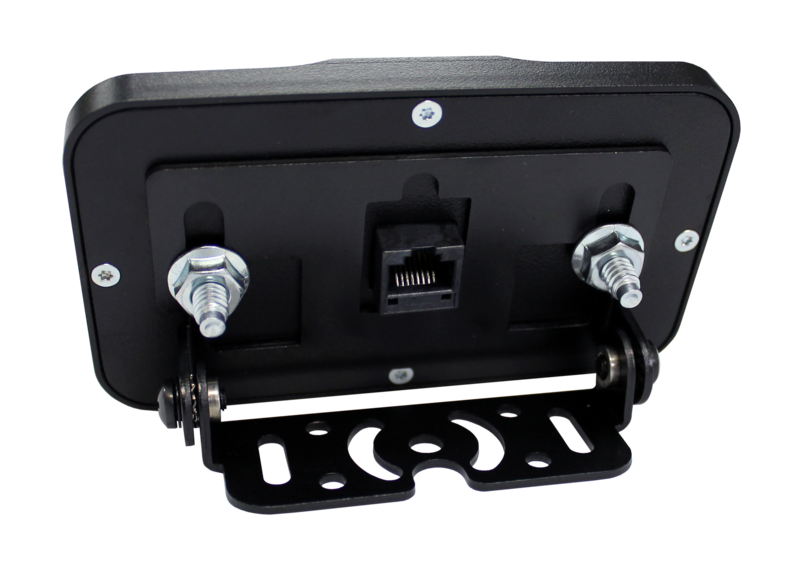 Encased in an aluminum billet machined housing, powder coated black, utilizing tactile switches encapsulated in silicone. The panel is designed to withstand the harshest environments with all weather conditions taken into account. Compact in size: 2-7/8W x 4-7/8L x 1/2 Thick (smaller than an iPhone). Universal back with two pressed-in 1/4-20 studs x 5/8 inches long for flat mounting. One standard RJ45 jack on the back for communication cable between HD panel and the Source. HD can be located up to 25 feet from the Source using standard CAT-6 Ethernet cable. Adjustable timer to turn the backlight off and a simple touch on any switch to reactivate. Quickly turn the backlight off by holding 2 designated buttons. Backlight color and intensity can be changed to any color to match vehicle interior dash lighting. 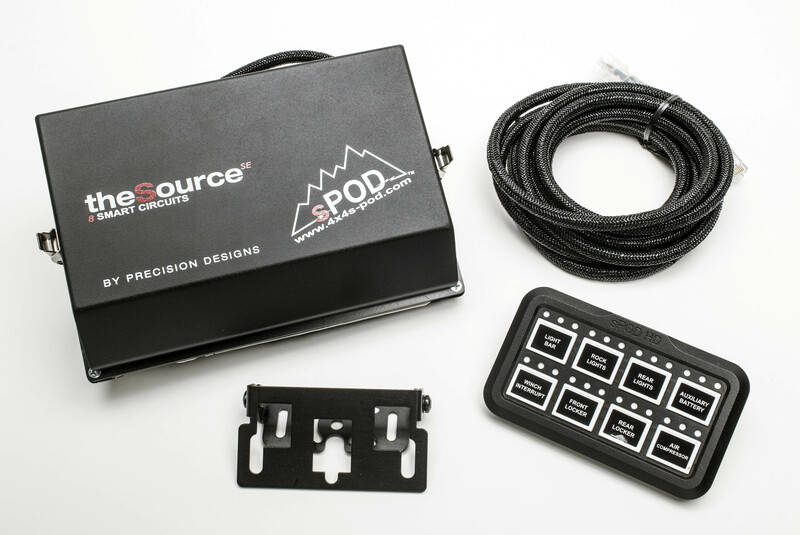 HD can run in conjunction with our SE Touchscreen, Bluetooth, and SE 8 Switch panel. 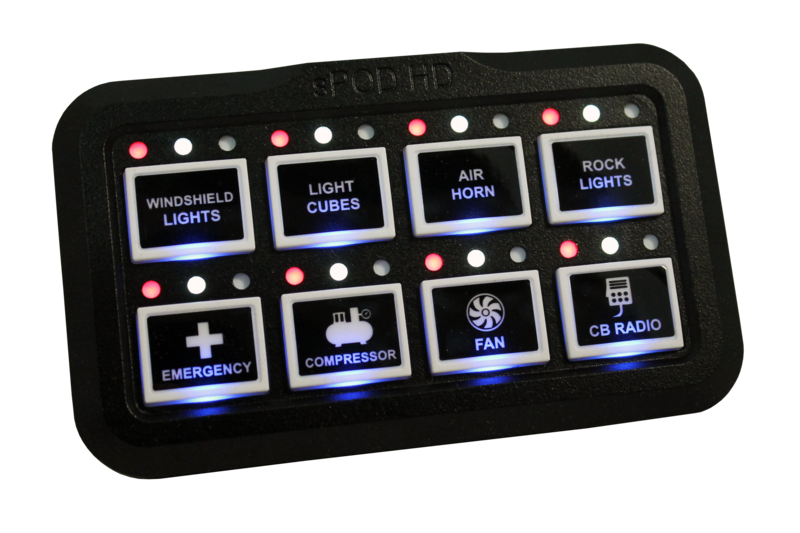 **The primary reason for the Bluetooth integrated into the HD panel is for programming purposes, not for remote control, due to the limited range. The HD housing is precision machined billet aluminum which contributes to the distance limitations. Ranges may vary from 5 feet up to 15 feet depending on location of the HD, the surroundings, phone type, phone cover and many other variables.